Today has not been the best day. I thought I was going to have all day to work on WormeWoole inventory. And then my horses got out (twice!) because deer had knocked down their fence and I unexpectedly needed to deliver a forgotten something to school for a child. More importantly, I realized my dryer vent is probably blocked and a major fire hazard rendering it unusable until cleaned out, and my vintage Singer sewing machine is mis-firing so that the needle is hitting metal when it should clear the inner parts as they move. My back-up machine is also out of commission. All minor problems, I know. 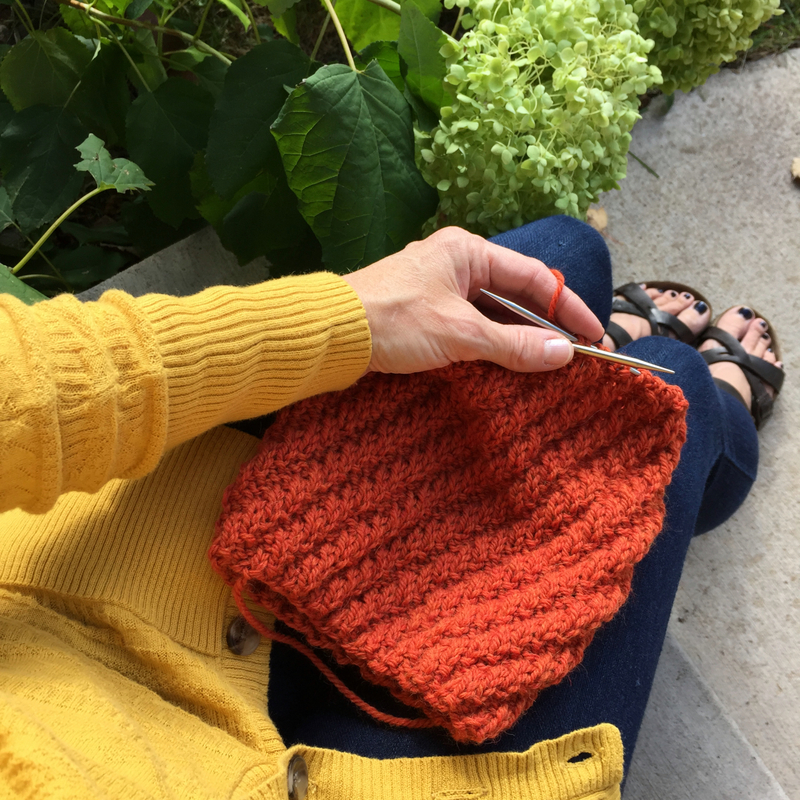 But when you make your living felting wool and sewing accessories from upcycled sweaters, it brings everything to a screeching halt during the busy season when it seems like every second counts in being ready for holiday sales. There’s not much knitting and sunshine can’t fix, at least for awhile. I went outside and knit in the autumn sunshine, in my favorite mustard sweater, with the last of the hydrangeas and the cat to feel better, because for me this is nigh onto a catastrophe, my friends. The good news is my semi-retired sewing machine repairman can take both my sewing machines tomorrow and I have two lovely clotheslines to dry my family’s plentiful clothing. Just the felting will be postponed. Truly I am blessed. Check Shipping Inventory — I almost ran out of business cards during the busy season last year because I realized my need too late to have them made and shipped before my biggest show. Look at your stack of envelopes, boxes, labels, business cards, tissue, bubble wrap, inserts, etc. that you use for packaging. Is it time to update and/or order more? 2. Prepare Signage — I make my signs for shows by hand and they need updating from last season. I have been procrastinating because I would rather put my time towards creating product. Usually, I am scrambling to make new signs the night before a show or even during show set-up (not recommended). Now is a good time to get them prepped and ready while I don’t feel the pressure to be sewing instead. You can create yours or place an order from print shop during this down time. 3. Order or Shop for Supplies — Shopping is not my favorite. Not in stores or online. It takes time away from creating, you see. Now I have time to check how much fleece I have, and order more buttons from my favorite Etsy seller. And, you know, if a sweater or some new pillows happen to end up in the cart as well, that’s okay too. In case you are looking, I sell destash buttons, yarn, and wool scraps in my shop. 4. Update Your Profiles — Take the time to revisit your profiles on your selling platforms, social media, and accounts. Make sure all information is current and upload a new avi and product photos if needed. Is it time to join and try something new such as Periscope or SnapChat? 5. Write Blog Posts — As much as we love our blogs, we all know they take lots of time — time to draft, time to photograph, time to format, time to upload, and time to promote. Why not use this time to post something new, and maybe even prepare a few more posts to be scheduled when you are back up to production. 6. Send a Newsletter — Has it been awhile? Have you been too busy? Send your followers an updated newsletter, or finally start that one you have been putting off. I have a stack of e-mail addresses I have collected at shows that need to be manually entered into my mail system. From last year. Seems like a good week to tackle that task. You can subscribe to WormeWoole’s mailing list here. 7. Take New Photos — I can’t sew any pairs of mittens this week. But I can take new and better photos of the pairs I have on hand. I have a new computer and better editing software than I had a few months ago, and a better photography set up. But I haven’t had time to go back and re-shoot all my products and instead have just photographed new products as they were made. Now I can try getting better pics of older products — and some of them can really use it! I could also make time to take some shots on a model, or get a friend to take some new pictures of me for my profiles and avatars (selfies don’t really cut it, and yes I have a few posted in my profiles). 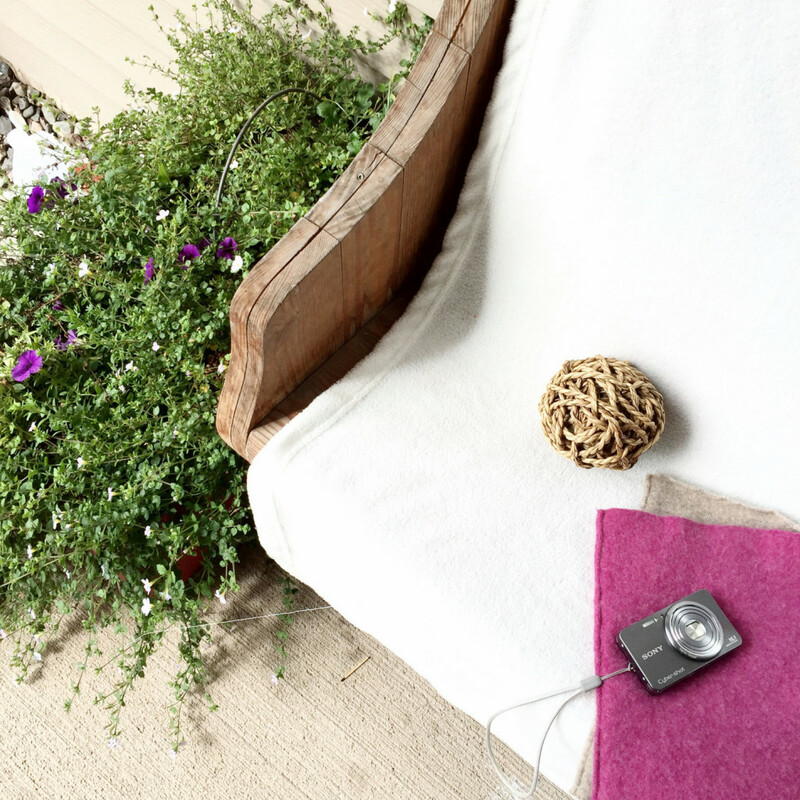 My photo taking set-up — I am outdoors in the natural light year-round in heat or cold. 8. Organize Photos — If you are like me, you have folders on your computer for your photos but there are some pics that always seem to end up in the wrong folder or no folder at all. You have photos of products you no longer have and will never make again. You have duplicate images. Your photos could use a little (or a lot) of organization. This is a good time to go through your files, get images in the right folders, and cull the ones you no longer need. Put your editing software to work and improve your pictures. 9. Re-Vamp Your Space — I promised that I wouldn’t put “clean the house” on this list, but most of us would appreciate a little tidying-up, and maybe even some redecorating, of our workspace. I don’t need to tell you what to do. I’m sure you’ve got some ideas for your studio. Go get those baskets and cork boards and cute whats-its that you’ve had your eye on and spend an afternoon rejuvenating your space. Read my post about using an Ikea cart here. 10. Write a Business Plan — And while you’re at it, register for licenses you need and open a business bank account if it will benefit you. 11. Take a Class — There is always something more we can learn to better our craft and our business. Find someone locally or online that can teach you what you need to know. Watch a tutorial, read a blog, download an action plan. Try something new. Here’s a great resource for improving your Etsy shop. 12. Follow Up — Do you have any thank you cards that should be written? E-mail or other correspondence that need attention? Do you have an idea you haven’t implemented? Have you called that shop that you hope would give you a wholesale account? Did you check back with that person who said they would order for Christmas? Is there someone you’d like to collaborate with? There’s no time like the present. 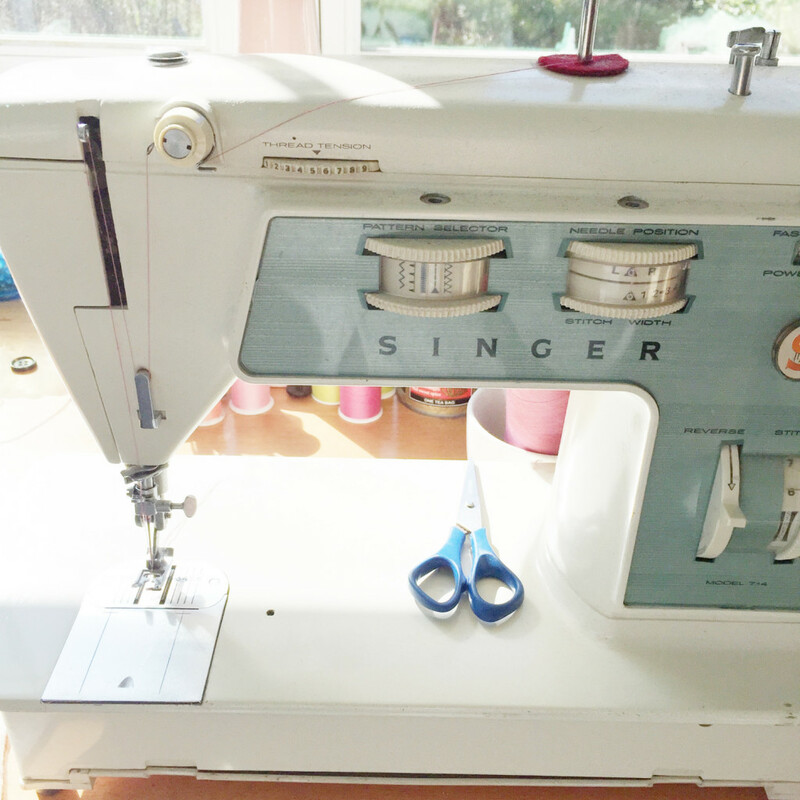 One of my two vintage Singers. They were Home Ec machines and they are work horses! Isn’t she beautiful? I can’t shrink any sweaters this week, and I can’t sew any scarves. But I do have a stack of sweaters that are already felted and ready to be cut into mitten parts and other pieces. I have fabric for rose brooches ready to be assembled. I have some hand sewing to do. 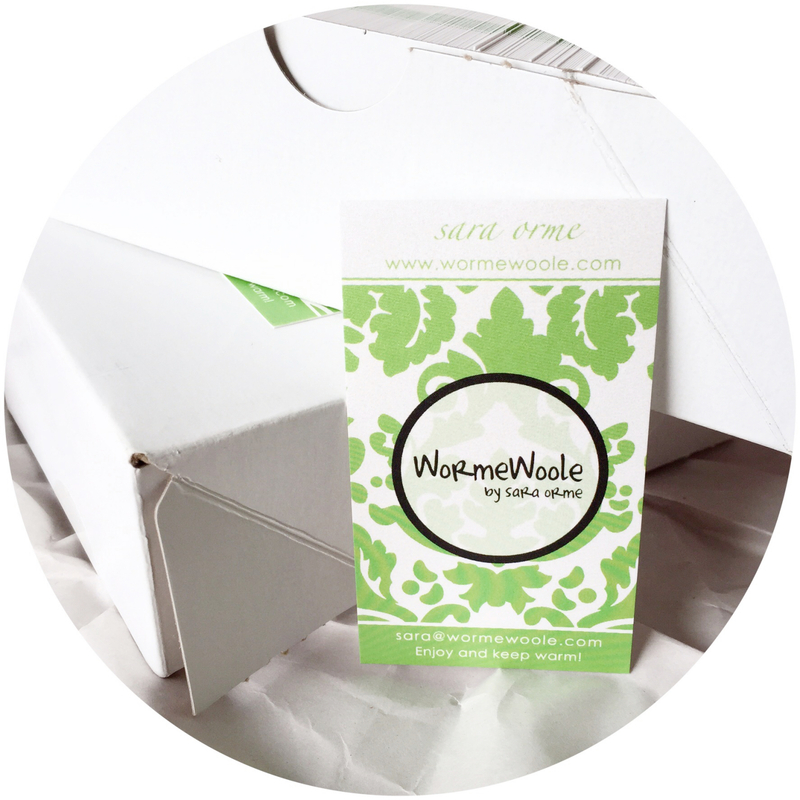 I can put coupon codes on my business cards, and rubber stamp www.wormewoole.com onto the clothespins I insert into packages. Most of us have steps in our processes that can be done, even if the whole process can’t be completed at this time. So just do what you can and don’t worry about what you can’t do right now. If you run out of business tasks, you can always sit in the sunshine and knit or read a good book! EXCELLENT job, Sara! I’m going to share it with my crafters’ list, of which I assume I included you.. Excellent – somehow i’ve got to save this post – you sure use your “down time” effectively.